The Mountain Pine Beetle outbreak in the forests of British Columbia, triggered in part by climate warming, destroyed a shocking 18 million hectares of forest, and has now moved into Alberta and is threatening the vast boreal forest of Canada's north. But new research on BC's forests suggests that recovery from the devastation is now well under way. Dr. Vivek Arora, a Research Scientist at the Canadian Centre for Climate Modelling and Analysis of Environment and Climate Change Canada in Victoria, says his climate model indicates that there has been - and will be - surprisingly swift new growth of the BC forests, driven, ironically, by climate change and greenhouse gases. 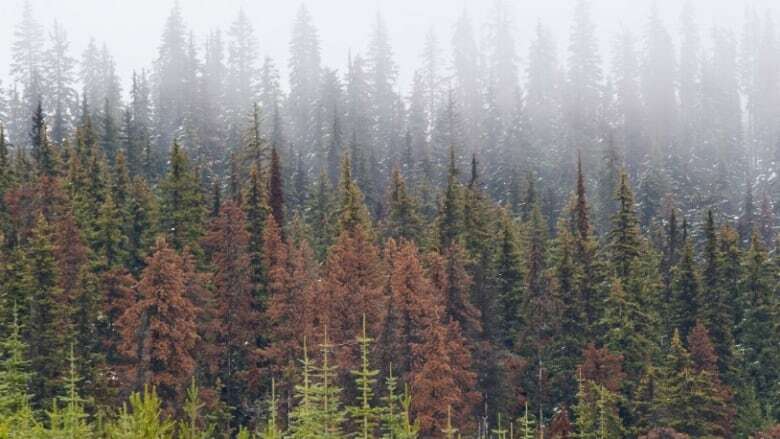 Increased precipitation, a longer growing season and the fertilizing effects of increased CO2 in the atmosphere means that the BC forests are now taking up close to as much carbon from the atmosphere as they were prior to the pine beetle outbreak. These new, young trees are also less vulnerable to the beetle than the older trees they're replacing.